Kevin Ehrman-Solberg ’14 wrote an article for MinnPost about historical relics leftover from Minneapolis’ old mill system. Ehrman-Solberg works for the Historyapolis Project, a Minneapolis-based organization dedicated to bringing the history of Minneapolis to life, in hopes that his work will build a sense of community. The Historyapolis Project is housed in the history department at Augsburg College. The organization was made possible by a Historical and Cultural Heritage grant through the Minnesota Historical Society. 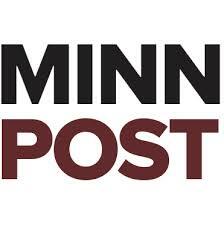 To read the article and learn more about the Historyapolis Project, visit the MinnPost site.